Almond wedding cake filled with cream cheese buttercream and fresh berry mix, iced with textured buttercream and gold leafing, nolasweetlife.com. Devil’s food cake, filled with raspberry and chocolate buttercream, covered in a poured chocolate fondant, swisscakes.net. 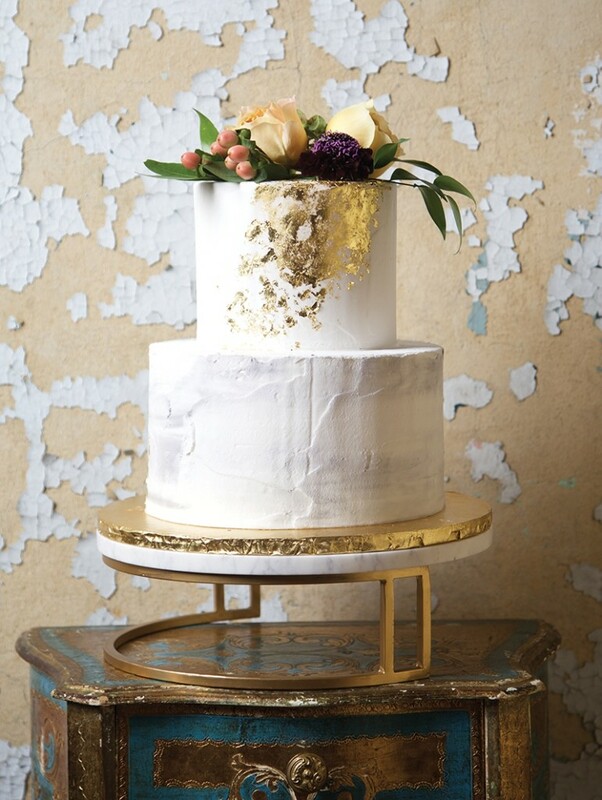 Classic almond wedding cake, embellished with scored fondant and accented with brushed gold, haydelbakery.com.